Carrie White is a shy young girl who doesn’t make friends easily. 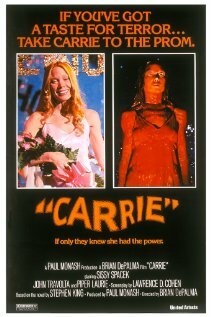 After her class mates taunt her about her horrified reaction to her totally unexpected first period one of them takes pity on her and gets Tommy Ross, her boyfriend and class hunk to invite Carrie to the senior prom. Meanwhile another girl who has been banned from the prom for her continued aggressive behavior is not as forgiving and plans a trick to embarrass Carrie in front of the whole school. What she doesn’t realize is that Carrie is … gifted, and you really don’t want to get her angry. The year is 1963, the night; Halloween. Police are called to 43 Lampkin Ln. only to discover that a 17 year old Judith Myers has been stabbed to death, by her 6 year-old brother, Michael. After being institutionalized for 15 years, Myers breaks out just days before Halloween. 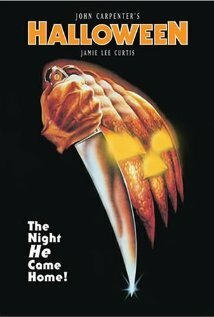 No one knows, nor would wish to find out, what will happen on October 31st 1978 besides Myers’ psychiatrist, Dr. Loomis. He knows Michael is coming back to Haddonfield, but by the time the town realizes it, it’ll be to late for many people.